Once again we made it out into the glorious country of the Santa Lucia's, this time to the far southern reaches of the Silver Peak Wilderness and the San Luis Obisbo county line to inventory campsites along the San Carpòforo trail, also know as the Spruce Creek trail which connects off Salmon Creek. Lots of spelling variations exist with the tongue twister name Carpòforo aka 'Carpojo.' Monterrey County Place Names book goes with 'San Carpòforo', a little known Spanish saint that also means the fruit bearer, and also mentions olive and pear trees planted in the area; it was a favorite site among the Fathers from the missions San Antonio, San Miguel and San Luis Obisbo for hunting and fishing vacations in days now long gone. 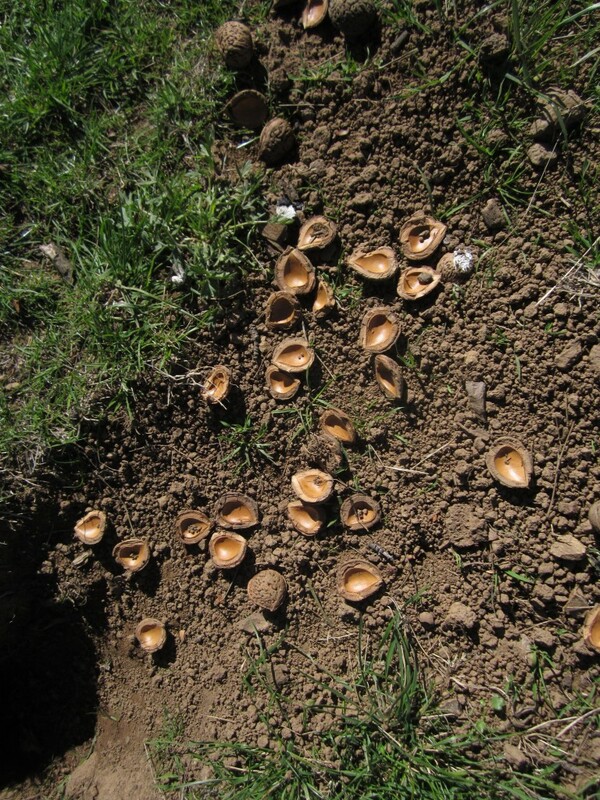 Sam and I found what we figured as a couple ancient peach trees closer towards Turkey Spring. The southern Silver Peak has its own distinctive character and is a much different terrain than one encounters further north. The large rolling meadowlands and oak forest reminded me of travels in the Yolla Bolly Wilderness in the Mendocino National Forest. I can really feel the ancient human presence in these sorts of places where one can roam freely and explore without too much restrictive, gnarly chaparral to tangle with. Spaces of earth that are rugged yet inviting. 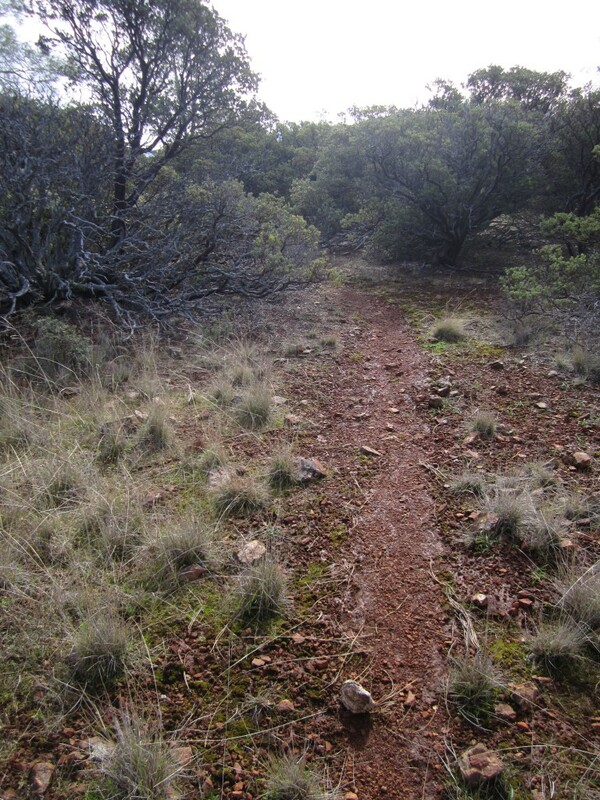 I was especially taken by some of the areas surrounding Dutra Flat; just beyond the main camp to the west is an ancient manzanita grove and red-clay earth meadow. There are numerous species of Manzanita in California, all particular to various regions of the state's mediterranean climate. 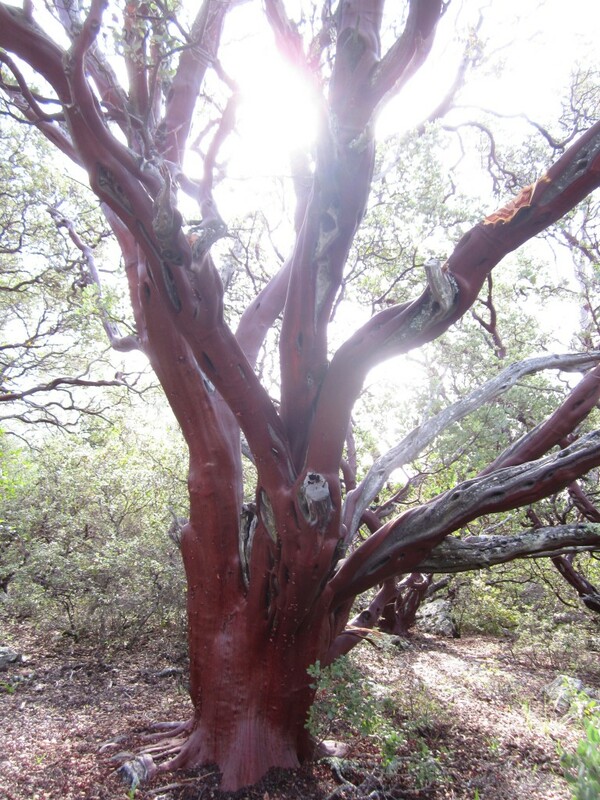 A highly adaptive species, the latest research points to a whopping 95 types of manzanita that have a specific, local natural distribution through the various bioregions of California. 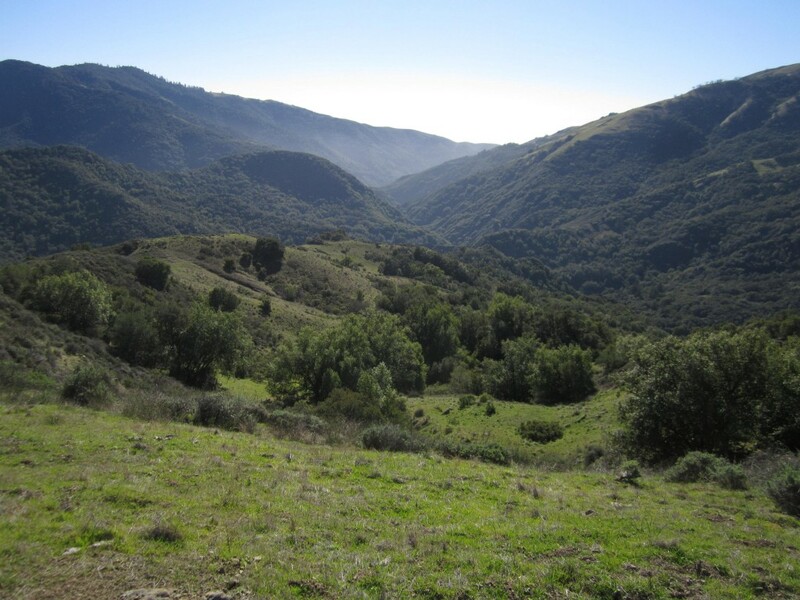 The Los Padres National Forest has about 11 different species. The classification of species in the botanical world has seen some major paradigm shifts in recent decades. 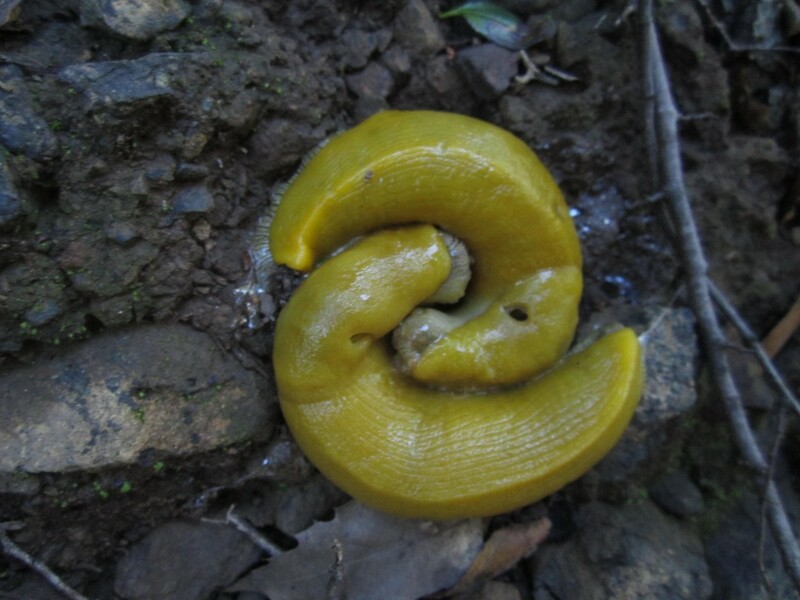 Instead of relying on traditional morphological characteristics, scientists are examining the genetics. From the Pacific Horticulture Society website I found this quote, “The morphology [of manzanita] has been good in many cases,” says Parker, “but misleading.” In other words, says Steve Edwards, director of the Regional Parks Botanical Garden in Berkeley, “the plants may look like each other, the groupings may seem natural, but the genetics say you’re wrong.” A contentious issue for many naturalists and botanists who question that shift, altering the taxonomic system. Manzanita is spanish for little apple; the berries are edible and have a tart sweetness reminiscent of candy I used to eat after baseball games when young and are full of vitamin C. The flowers too can be eaten and have a nice flavor; they are among the early bloomers and many are beginning to show their urn shaped flowers now. west Los Angeles. People thought it looked like Holly and was thus named. Rather fitting that a place of illusion has a misnomer name.) 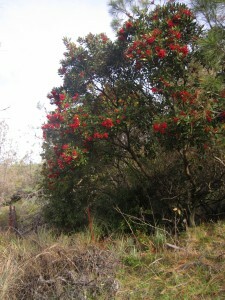 Toyon berries can be eaten by humans after cooking but are otherwise acidic and astringent. 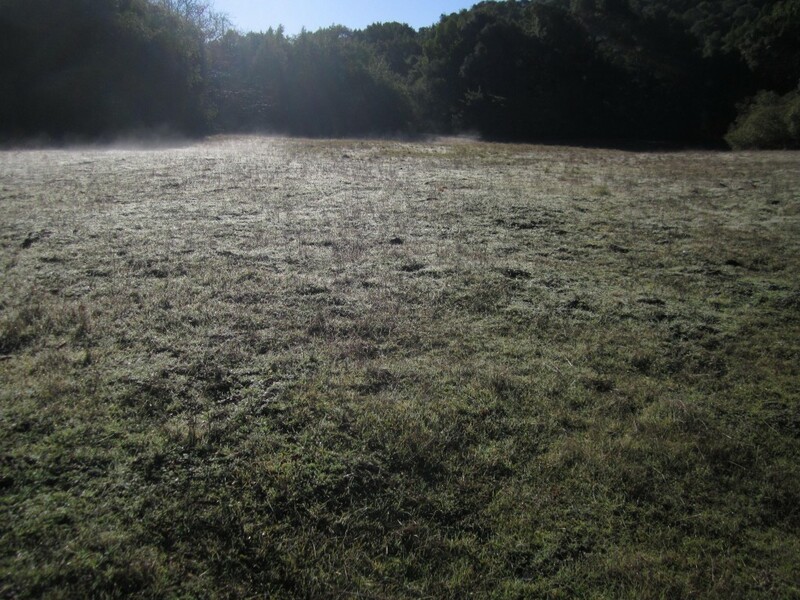 This whole area is currently subjected to cattle grazing and its effects are seen everywhere. Cow pies and tracks checker the landscape and unfortunately detracts a bit from the overwhelming natural beauty that abounds. Dutra Flat is actually fenced off to provide some reprieve from the cows, though they actually managed to stampede the west end of the barb wire and are evidenced to wander in from time to time. We had the most welcome visitor the morning before we continued on from Dutra, and again when we hiked back two days later; a hummingbird that would sit above the fire ring in the branches of the large cypress, zip around, then zoom down to the fire ring and appeared to be licking or eating the ash from our fire. 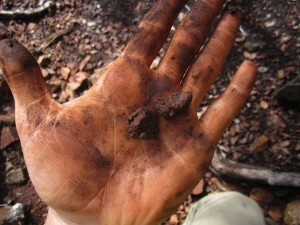 (Sam managed to sit by the fire motionless enough to witness the little bird in action, after scratching our heads a while wondering what it was up too.) Then zoom off to some unknown location, only to come back and do the whole thing over minutes later. 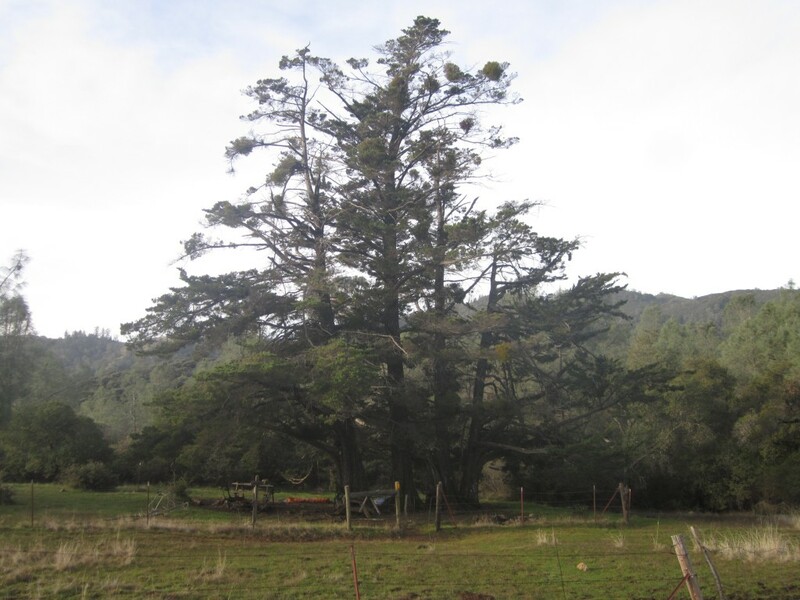 Dutra Flat was the site of an old homestead many years ago, this line of cypress, obviously planted, are remnants of that time. A spring is piped from the hillside in the middle of the large meadow directly across. As the days grow longer and the warmth returns, the sweet smells and sights of Spring are beginning to appear and some early bloomers are beginning to fly their colors. 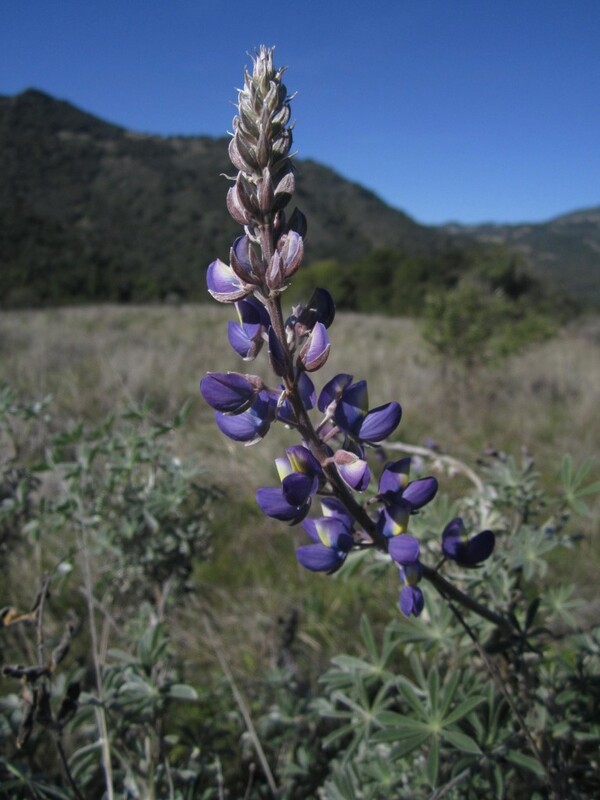 We found just a few Lupinus starting to show the purple scepter. Another plant with many species, I think this may be the silver bush lupine, but I'm not positive. There are a few variations of that species. 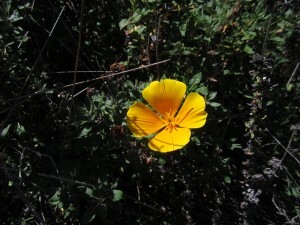 We found this specimen among several in bloom in one section of the trail upon the great rolling meadows. 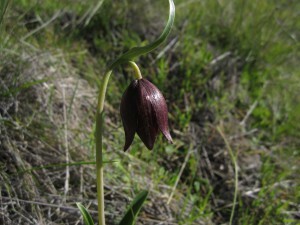 I've keyed it out as the Chocolate Lily, Fritillaria biflora. Even a few poppy's were beginning to pop up here and there. 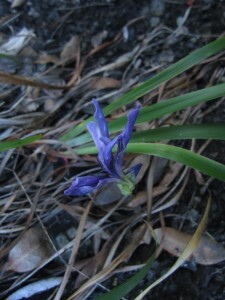 A single Iris, among many plants seen throughout the four days, was in bloom. 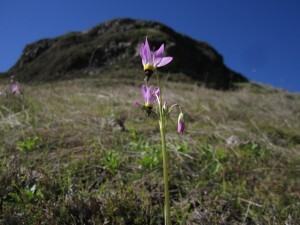 Calflora.org lists the common name as 'padre's shooting star', perhaps a favorite of those early California missionary fathers. This trail, and San Carpoforo camp in particular, has a noted history as a place where the Portola expedition came through twice in 1769. The Portola expedition was led by Gaspar de Portola from July 14, 1769 to January 24, 1770. It is known as the first venture by land into the upper mainland of 'Las Californias of New Spain.' The name California is said to have been taken from the story of Queen Calafia recorded in 1510 by the Spanish adventure writer Garci Rodriguez de Montalvo, The Adventures of Esplandian. The Queen's kingdom was said to be a remote land inhabited by Griffins and other strange beasts, rich in gold, and populated by black women without any men among them. "Know ye that at the right hand of the Indies there is an island called California, very close to that part of the terrestrial paradise...the island itself is one of the wildest in the world on account of the bold and craggy rocks." -Chapter CLVII of the The Adventures of Esplandian. Rich in history, geologic beauty and a comfortable human landscape, Sam and I so enjoyed our time at San Carpòforo Creek that we ended up staying there twice, having day hiked out to the remote 'Elk camp' further to the south at the end of the trail on our third day. 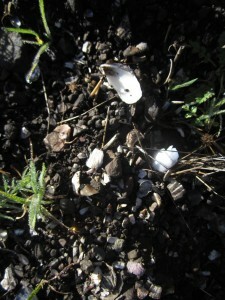 Behind the camp at San C is a large meadow full of middens, native compost from an ancient village site-, and various types of shell fragments from their sea creature rich diets are scattered about everywhere. Watching the moisture evaporate in the warm morning sun was a favored activity for us the two mornings we awoke at San C camp. 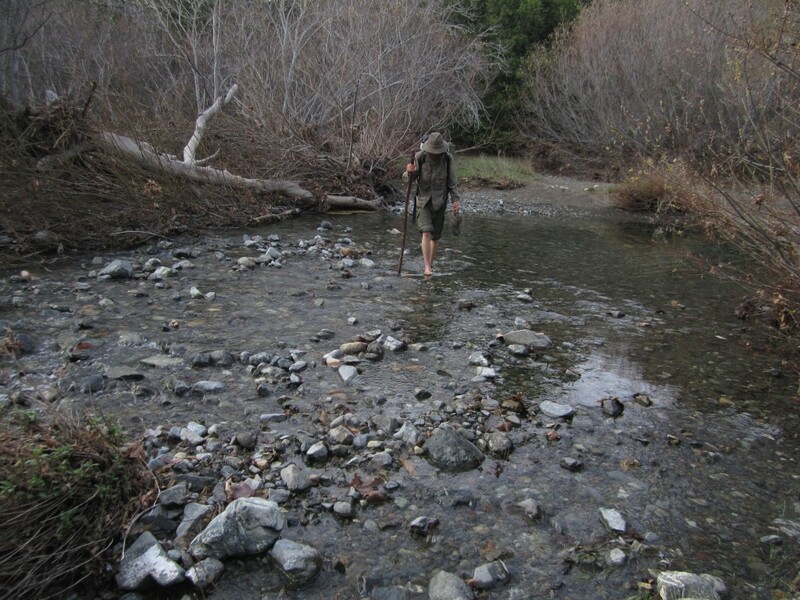 On our way back from Elk camp the third day we happened upon this site while walking along the creek just down from our camp at San C.
No doubt the mountain lion as well enjoys this section of the San C creek. 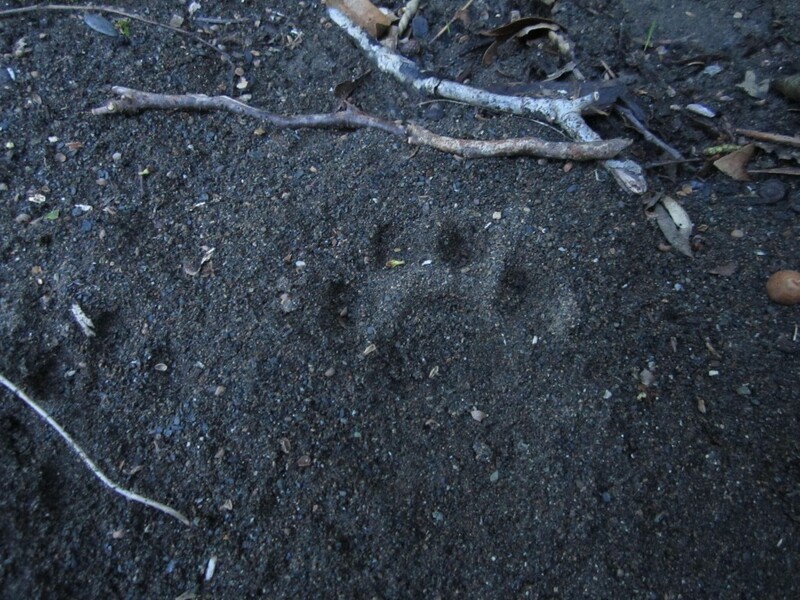 We had several sightings of deer throughout our trip as well, and also a young bobcat on our way out the last day. Some places are just like that; attracting life force energy in numerous forms, a sort of ecological upwelling. The vibes were high here and Sam and I were grateful for the experience. With big smiles on our faces we shouldered our packs the way we came back to Salmon Creek Station. Most of our hikes have been loops or throughs and it was a nice change to get to know a trail forward and backwards. Sam said next time we'll have to walk backwards too.